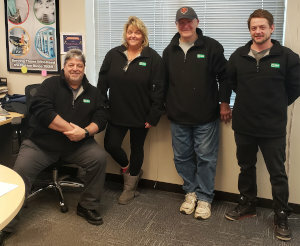 Our Chicago office, located at 1068 Garfield Street, is staffed by CFESA certified technicians , trained to provide a full complement of commercial oven and other commercial appliance repair services. We cover all major equipment types including food service equipment, refrigeration, ware washing and HVAC. If you would like to discuss your needs and how we can help, you can reach us at (630)-595-3300 or email us at ILDispatch@GP-ServiceDirect.com. Planned Maintenance – We work with you to design a customized program for each commercial kitchen that is personalized to ensure every piece of food equipment service returns your piece to its original manufacturer specification. Certified Repair Technicians – Our commercial appliance repair technicians are factory trained and industry-certified to do the job quickly, cost effectively and right the first time. When conducting a repair that involves replacing a part, we use O.E.M. parts when available. If the piece of equipment is small enough to move, feel free to drop it off at our Garfield Street location and we will repair it in our shop. Installation of Equipment – When it is time to install your equipment, our certified technicians are able to install most brands of foodservice equipment. Flexible scheduling – We understand that you often need our services at any time of day. Let us know when you need us and we will be there. Automatic Status Updates – Individuals who call in for commercial appliance repair service may also receive email updates that indicate the status of dispatched, arrive or completion of your service. Ask to be added to our Automatic Status Update System. Online Service Information – Through our website you can access your account to receive open ticket information, service history, and more. Click here to request access. 90-Day Labor Warranty – Working alongside the most renowned brands in the foodservice industry, General Parts Group wants to ensure that your investment in equipment is protected which is why we provide a 90-day labor warranty on all work performed, parts are warranted by the manufacturer, typically for 90 days. O.E.M. Replacement Parts – If you prefer to do your own repair, you are welcome to visit our parts store at GP-PartsDirect.com where we stock O.E.M. replacement parts for most commercial appliance manufacturers. Ground shipping to our Chicago location is free!